Here they are. I hope you enjoyed another year of brilliant new music. 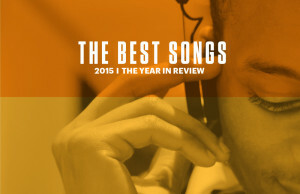 This is Week 4 of 4 of our favorite songs of 2015. Missed the first 3 weeks or just want to listen again? Cool. Click here for week 504 or week 503. Or Week 505. Thanks for listening. Thanks for sharing. Thanks for everything. If there are any bands/managers/labels etc that want their music removed please contact me (chris at allthingsnext dot com) and I’ll promptly remove it. Thank you, bands, for making music. Thank you for making my life better because of the music you make. I am a passionate music consumer as are my listeners. If you think NEXT streaming music is bad please think it over again. I am a music maker advocate. Thank you for an amazing year of music!! In the six years I have been listening to Next this has to be the best song group ever. Kudos to all of your listeners for commenting throughout the year to end up with this great set of songs. Thank you. And thank for your support throughout the years. Mountain at my Gates deserve to top 2015 list. Hippo Campus is my confession for some of my misses. The Big Blue Button (Stitcher) updates to the most recent. If you click on a page and Stitcher doesn’t have it (They hold the last 10 shows) then click on the “Little Black Box” That will always be the week of the page.